"When there's no more room in hell, the dead will walk the earth!" 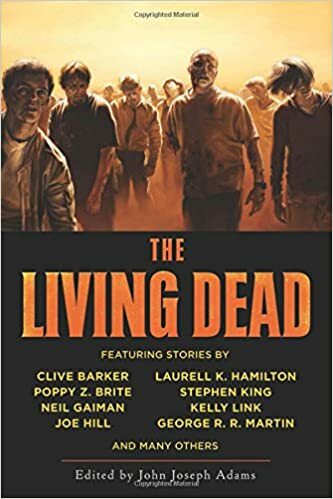 From White Zombie to Dawn of the Dead, Resident Evil to World War Z, zombies have invaded popular culture, becoming the monsters that best express the fears and anxieties of the modern west. Gathering together the best zombie literature of the last three decades from many of today's most renowned authors of fantasy, speculative fiction, and horror, including Stephen King, Harlan Ellison, Robert Silverberg, George R. R. Martin, Clive Barker, Poppy Z. Brite, Neil Gaiman, Joe Hill, Laurell K. Hamilton, and Joe R. Lansdale, The Living Dead covers the broad spectrum of zombie fiction.